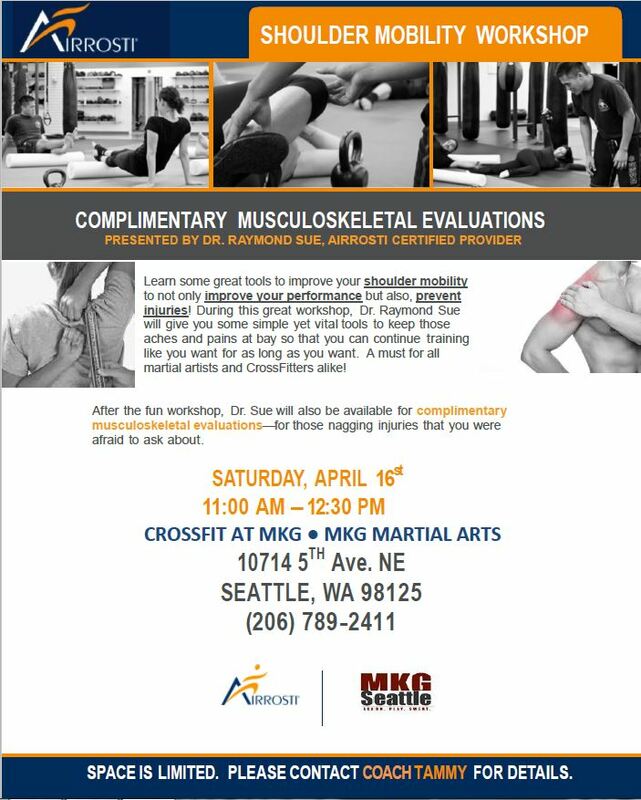 Dr. Raymond Sue will be at MKG Seattle on April 16th hosting a FREE shoulder mobility workshop. During this workshop he will give you the skills needed to improve shoulder mobility to not only improve performance, but also, prevent injury. Learn the skills to keep your aches and pains at bay so that you can continue training like you want for as long as you want. As an added bonus Dr. Sue will be performing COMPLIMENTARY musculoskeletal evaluations. For those nagging injuries you were afraid to ask about. Enter your information to speak with our staff!